GLOBALLY integrated midstream and downstream oil company Puma Energy is planning to build a better and world class refinery for fuelling Papua New Guinea (PNG). 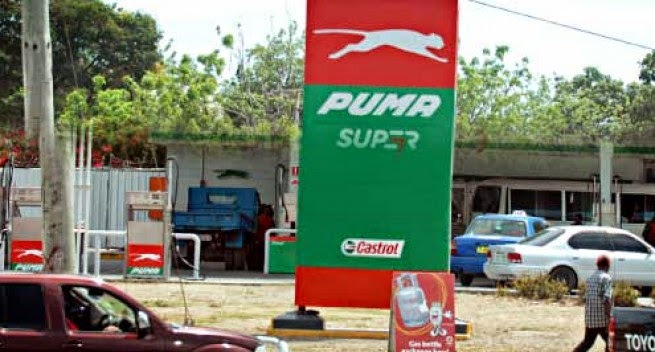 Puma Energy, while announcing its plan to expand and invest further into the region, revealed this to the media that the company will invest in measures to create a more modern and flexible refinery at Napa Napa, outside Port Moresby, capable of processing all domestic crude oil and condensate. The rest of the plan will be announced during its official brand launch expected soon. The refinery plans include; upgrading the refinery to manage a wide range of feedstock and recovering more gasoline with less fuel oil production while maintaining a sustainable capacity of 42,000 barrels (bbls)/day; installing 10MW (megawatts) of gas turbine electricity production, additional 280,000m3 new crude and refined product storage; "Bravo" and "Sierra" jetties. The company’s investments will help generate jobs, ancillary businesses and other value adding activities amongst others. Puma Energy chief operating officer, Asia Pacific and Middle East, Rob Jones said the investment plan will transform its operations into a major petroleum hub for the Asia-Pacific region, to refurbish and expand its service stations and fuel storage capacity across the country and its plans to upgrade the company’s refinery at Napa Napa. Mr Jones said the company’s plans would see significant investment made into local communities to create jobs, build skills and support PNG’s economic growth. "Puma Energy has always committed and invested wholeheartedly into the communities in which we operate," Jones said. "By upgrading the infrastructure we will turn the business into a major petroleum hub for the Asia-Pacific region which will bring many important opportunities to PNG. "We are also helping to build PNG’s economic sustainability with our graduate recruitment program, by ensuring employees are given world-class training, and developing local service stations as state-of-the-art facilities." Jones and other senior Puma Energy executives travelled to PNG this week to announce expansion plans and to officially launch the Puma Energy brand into the market at an event attended by senior ministers and industry representatives. 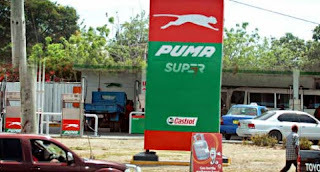 The refurbishment of the service station network has already begun to improve the facilities and services offered to customers and Puma Energy has committed to having its fully retail network overhauled by March 2015, in time for the 2015 Pacific Games, which Puma Energy is sponsoring. Jones said the new branding was the start of an extensive program to bring better facilities and service standards to Puma Energy’s fuel terminals, retail service stations and aviation capabilities in the country. "Under our expansion and improvement program, Puma Energy will bring new services to the country, such as bitumen, bunkering and LPG," he said. "We will also be bringing our leading global health, safety and environmental initiatives programs to our operations in PNG, which are cornerstones of Puma Energy’s global culture. ".